In psychological literature, religion and spirituality are usually contrasted as the institutional and subjective aspects of individuals’ search for the sacred. Religion, in particular, is often defined by a particular constellation of feelings, thoughts, experiences, and behaviors that accompany this sacred search and that are validated and supported by an identifiable group of people. So a Christian who feels gratitude towards God, thinks about Scripture, experiences God’s nearness, and goes to Church in ways that are shared with others in that Christians group could be called religious. One would think that religiosity would have some influence on a readiness to forgive, but the findings are in fact intriguingly ambiguous. In their article entitled, “Antecedents and Consequents of Interpersonal Forgiveness,” authors Blake M. Riek and Eric W. Mania found that religiosity plays an indeterminate role in an individual’s disposition to forgive another. Some studies, particularly those whose participants reported to be from a Judeo-Christian background, found that there was indeed a strong relationship between one’s religiosity and forgiveness. Other studies found no such correlation. Riek and Mania conclude, “This suggests that religion has a larger impact on how people feel about forgiveness than the actual practice of forgiveness.” In other words, religion tends to make one quite forgiving in theory, but not necessarily so forgiving in practice. Part of the problem, according to psychologists, is that religion is a broad term that needs to be unpacked. Just going to Church might not make one necessarily more forgiving, but what about giving to the poor or visiting the sick? Unfortunately to my knowledge, psychologists have not yet explored those possibilities. The uncertain relationship between forgiveness and religion can be used to sharpen our focus on how to in fact become more forgiving. We know that the fathers took a rather dim view of the religions of ancient Greece. They saw them not only as misguided and false, but as making a person more selfish and passionate. And in their minds, the one thing Christianity was not was a religion. As strange as it may sound to modern ears, Christianity was not about going to heaven or being protected from harm by God. It was not about keeping the rules or joining a club, but about a new, captivating way of life in the here and now based upon one’s relationship with the Lord Christ, begun in the heart and then extending to one’s thoughts, behavior and entire life. For these holy men and women, their relationship with Christ influences and forms their personalities and their relationships with others. In fact, this is not a mere transformation of some personality characteristics, but a profound transfiguration of the whole Christian person who naturally imitates Christ in all things, most especially in compassion and forgiveness. The problematic results about the relationship between religiosity and forgiveness now become a bit more clear. Just admiring morality, just doing what one has to do to get to heaven, just doing what one should to attain God’s blessings, just belonging to a group that says that forgiveness is a good thing, all these religious reasons and practices are not going to be enough to freely, spontaneously, and wholeheartedly forgive, if there hasn’t been a change of heart that comes about from continuous, humble, trusting communion with Christ. For the Christian, forgiveness is inextricably linked with a new life in Christ at this very moment and every moment thereafter. It is an expression of ongoing repentance that is a lifelong process encompassing all our actions and interactions. 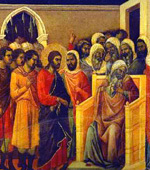 Saint John of Damascus was fond of saying, “In hell, there is no repentance” (An Exact Exposition of the Orthodox Faith, book 2, 4), which is another way of saying Christianity is all about changing the mind now, about communion with Christ in the heart now, and with responding to others on the basis of that communion now. And what is forgiveness if not a change in how we look at a brother who has wronged us in the present. Perhaps, if Christians are not as forgiving in practice as they are in theory, the problem is that their understanding of Christianity and their practice of Christianity is a bit off center. For those who view the Christian life as primarily a life of joyful and continuous repentance, I think they will find that the forgiveness of God in their hearts will extend to every soul that they touch, regardless of what that soul may have done to them. Whosoever shall say to his brother, Raca, shall be in danger of the council: but whosoever shall say, Thou fool, shall be in danger of the fire of Gehenna. For those of us who speak without thinking and spout off when we are irritated, the sobering words of our Lord in Matthew 5:22 are often dismissed. In today’s world, words uttered in anger may be considered to be a slight offense that can be justified by the circumstances. In our own mind, we may afterwards indulge in such justifications in which our focus remains riveted not on what has come out of our mouths, but on what the other person has said or done to us. “Well, I did get angry, but he was accusing me of something I didn’t do,” or “He had it coming to him. He didn’t recognize my hard work and efforts on this project. I had to get angry.” The Lord Christ suggests another focus. We should consider what we say and how we say it, keeping in mind that our words can be as soothing as oil or as scorching as fire. With them we can wound or heal, curse or bless. And those wounding curses and healing blessings have consequences not just for our neighbor, but also for ourselves. In explaining the Lord’s words— “whosoever shall say to his brother, Raca, shall be in danger of the council: but whosoever shall say, Thou fool, shall be in danger of the fire of Gehenna—, Saint Maximus notes that these insults differ in that the word Raca means impure and slanders the person’s way of life, whereas the word fool implies that a person is senseless like the fool that says in his heart there is no God (Questiones et Dubia, 10.40). Saint John Chrysostom likewise views Raca as a mere expression of contempt, but the word fool touches on “that which separates us from the brutes, and by which especially we are human beings, namely, the mind and the understanding, — when you have robbed your brother of this, you have deprived him of all his nobility” (Homily 16 on Matthew). The Saint continues, “So let us not regard only the words merely, but realizing the things themselves and his feeling, let us consider how great a wound is caused by this word and how much evil it causes” (Homily 16 on Matthew). Psychologists have in fact been making such an investigation. For example, Caza and Cortina, in their 2007 study on incivility, have found that insulting someone else can make that person feel wronged or ostracized. The feelings of having no control over interactions with others and of not belonging to a group in turn can lead to anxiety if the individual ruminates on lack of control, while it can lead to depression if the individual instead broods over social rejection and personal shortcomings. Saint John Chrysostom even goes further, “The insolent mar all the beauty of love, cast upon their neighbor countless ills, work up lasting enmities, tear asunder the members of Christ, and are daily driving away that peace which God so desires: giving much ground to the devil by their injurious ways, and making him that much the stronger.” In other words, in addition to the psychological harm that an insult causes, there are theological consequences, moral consequences, spiritual consequences that are actually far-reaching. Saint Ephraim the Syrian further adds, “whosoever despises the despised, despises with him the Almighty” (Hymn 4 on Epiphany). When we insult someone else, we forget about the image of God in both our brother and ourselves. Doing so we place ourselves in that Gehenna of fire, which in our Lord’s time was a valley south of Jerusalem, known as a place where human sacrifices were offered to Canaanite deities and at His time used for burning up garbage and the corpses of the poor. In insulting our brother, our contempt casts him into that valley in which we burn him by anger, rather than offering him the water of love. It should now be clear that insults should not pass easily from the mouths of Christians. For this reason, Saint Paul reminds the Christians of Ephesus, “Be ye angry, and sin not: let not the sun go down upon your wrath: Neither give place to the devil” (Ephesians 4:26-27). The optimal time to struggle against the passion of anger is before it occurs in the thoughts and is rooted in the heart. The holy fathers counsel us to flee anger at its very first manifestation in our thoughts and being firmly committed to not allow it to be expressed in words. We can further guard against this passion through ongoing prayer, fasting, and almsgiving. tabernacle, where neither friends nor enemies can slay my soul. spat upon me, whenever I have filled myself with arrogance. to enrich myself, they have prevented me with an iron hand. my hands to the hem of your garment. Bless my enemies, Ο Lord. Even I bless them and do not curse them. Perhaps our own experience provides us with evidence concerning the next antecedent to forgiveness: the nature of our relationship with another person. The fathers offer us profound and beautiful insights into the goal of human relationships. Their thinking is summarized well by Abba Isaiah whom I quote in Ancient Christian Wisdom, “Nature did not fashion human beings to be like solitary beasts, but rather like a flock of gregarious animals who share the same pastures, so that each person would live not only for himself, but also for his father and mother, for his siblings, for his spouse, for his children, for his other relatives, for his friends, for his fellow townsmen, for his fellow countrymen, for those living in his part of the world, for all humanity, even for every aspect of all things, for the entire world, and foremost for his God and Maker.” Clearly, living for others means having a commitment to others and investing oneself in relationships with others. According to Abba Isaiah, this is what it means to be human. Our ultimate calling is for our commitments and our relationships to expand until they include everyone from the least of our brethren to the God of all. And in doing so, forgiveness should become easier, not because we explain away the offenses of others, but because we love them away with the very love of God. If we agree with researchers that the quality and importance of relationships play an important role in a forgiving disposition and if we note that the Christian faith is very much about the quality and importance of our relationship with the triune God and our every neighbor for whom God became incarnate, it would be difficult to argue with the fact that acquiring a forgiving disposition is imperative for a full, flourishing, and blessed human life. 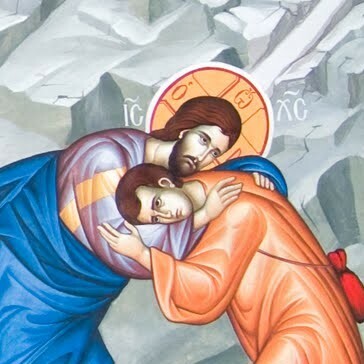 As Elizabeth A. Gassin writes in her article, “Interpersonal Forgiveness From an Orthodox Perspective”, “God creates each person in His own image and likeness, meaning that we are relational beings because God Himself has an eternal relationship of love between Father, Son, and Holy Spirit. Therefore, our fulfillment of self is found ultimately in loving others, including our enemies, with an active, perfect, self-sacrificing love.” Put otherwise, when we repair relationships through forgiveness we are not only working for God’s will to be done “on earth as it is in heaven,” but also entering into the mystery of being in the image and likeness of God. In that image and in that forgiveness, we ultimately find fulfillment. Forgiveness sets us on that glorious road of which Saint Athanasius of Alexandria wrote, “He was made man, that we might be made god”(Incarnation of the Word, 5:3). In other words, we are called to become by grace what the Lord Christ is by His nature, related to all, compassionate towards all, committed to all, forgiving towards all, loving for all. In this context, it is clear that the keen insights gleaned from psychology concerning the relational antecedent of forgiveness are transformed by the fathers into deep healing that is capable of transforming the entire person, and by that person’s commitments and relationships with others, the entire world. In the first post on forgiveness, I offered a few psychological definitions of interpersonal forgiveness in terms of changing motivation, transforming emotions, letting go, and cancelling debts. While these understandings of forgiveness vary and are not unanimously accepted, they remain helpful working definitions. To proceed further, however, it’s helpful not only to understand forgiveness as a process, but also to identify the conditions that are conducive to it. This is somewhat reminiscent of the way the fathers look for the mothers of a passion or of a virtue in order to help Christians walk in holiness. As we explore the notion of forgiveness and how it relates to our own experience, an important question to ask is why some people let go of the need to retaliate more quickly, while others turn very slowly towards reconciliation. Why do some people hold onto an offense, while others let it go and move on? Why can some people readily express forgiveness even in the most trying of circumstances when others seem to be unable to forgive for the slightest offense? Riek and Mania, in their article entitled, “The Antecedents and Consequences of Interpersonal Forgiveness: A Meta-Analytic Review,” have postulated that there are antecedents or pre-existing conditions before an offense takes place that make one more, or alternatively less, disposed to forgive others. The authors organize these antecedents by grouping them into personal influences, relationship-specific influences, offense-specific influences, and social-cognitive influences. For the purposes of this post, I will examine the personal influences. In the next few posts, I will review the remaining influences. Riek and Mania note that studies have shown that individual personality plays a role in determining one’s disposition to forgive another. They conclude that the more generally agreeable personality will be more disposed to forgive than the more neurotic personality. In other words, someone who is soft-hearted, trusting, generous, acquiescent, lenient and good natured will be more likely to forgive than someone who is worrying, temperamental, self-pitying, self-conscious, emotional, and vulnerable. Fortunately, among the five major traits of personality, researchers have found that agreeableness and neuroticism can and often do change as one ages. And there is no better way to affect that good change than to follow the very commandments of Christ, which encourage us to trust Him, to scorn self-pity, to have compassion on others, and to be flexible. Above all, we need to fight against philautia, that sickly love of self, which in the words of Saint John Chrysostom, is a great hindrance “to our perceiving what is just. 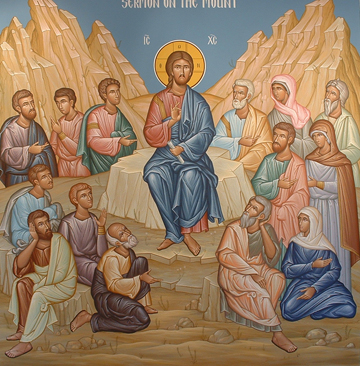 Because of this (philautia), when we are judging others, we search out all things with strictness, but when we are sitting in judgment on ourselves, we are blinded” (Homily 36 on Matthew). If we desire to become more forgiving, according to the fathers, we need to become less self-centered and more Christ-centered. Then, we will see clearly enough, love fervently enough, and trust boldly enough to forgive. Ye have heard that it was said by them of old time, Thou shalt not kill; and whosoever shall kill shall be in danger of the judgment: But I say unto you, That whosoever is angry with his brother without a cause shall be in danger of the judgment. According to Saint Peter of Damascus, the commandments of Christ are precious gifts that can deliver our souls from both traps of the enemy and those of our own making by teaching us to be watchful about our inner state (On Discernment). Doing as Christ suggests in the area where our free will is strongest—the attention we give to a thought— in turn makes keeping the ancient commandments of the law as epitomized in the Ten Commandments nearly effortless. This is especially clear in Christ’s commandment about anger. As Saint John Chrysostom notes, “He who is not stirred up to anger, will much more refrain from murder; and he who bridles wrath will much more keep his hands to himself. For wrath is the root of murder. And you see that he who cuts up the root will much more remove the branches; or rather, will not permit them so much as to shoot out at all…. for he that aims to avoid murder will not refrain from it equally with someone who has put away even anger; this latter being further removed from the crime” (Homily 16 on Matthew). Something distressing happens that seems to be caused by the negligence, deficiency, or even malevolence of an offender. This makes us feel bad about ourselves, often wounding our overweening pride and exposing our demanding neediness. We feel that there is a wrong that needs to be made right. We become angry and in anger we retaliate. The watchful and committed Christian always has choices, beautiful, inner choices of the heart, which can lead to places of peace, harmony, and love. They begin by listening to our meek Lord’s commandments that may seem to go beyond the limits of human possibilities, because in fact they do. Through His commandments, we do indeed go through the fire of insults and through the water of disgrace, but He brings us to a place of refreshment (Psalm 65:12, LXX). And suddenly our inner world and our outer interactions are radically and wonderfully changed: where there was not only anger, but also a readiness for violence, now there is “the peace of God, which passeth all understanding” (Philippians 4:9) and “the love of Christ, which exceeds all knowledge, so that we might be filled with all the fullness of God” (Ephesians 3:19). In a fallen world, no one escapes the bumps and bruises associated with our interactions with others. Sometimes, the cuts and scrapes form gaping holes that may leave us offended and wounded, hurt by angry words, callous actions, or selfish disregard. While we can confidently affirm that conflict is an inevitable, if not unfortunate part of human life, the aftermath of such often comes down to a choice between resentment and forgiveness. This new blog series will focus attention on the latter. Forgiveness, or the lack thereof in ourselves or in others, is a subject that affects each of us, undoubtedly on a daily basis. Its role is so significant that psychologists and healthcare professionals over the past thirty years have begun studying what people of faith have known about for millennia, namely that forgiveness plays a powerful, therapeutic role in better physical and mental well-being. Of course, Christianity uses another language—the language of the heart, the language of brotherhood, and the language of God Himself—to speak about forgiveness, whereas psychology uses the terminology of science. Is there a meeting place between our forgiving our brothers and sisters from our hearts their trespasses against us (Matthew 18:35) and what psychologists are exploring today? That will be one of the questions this series will attempt to answer. A starting point for that question would be to look at some definitions that psychologists propose for forgiveness. As Blake Riek and Eric W. Mania have noted in their article “The Antecedents and Consequences of Interpersonal Forgiveness: A Meta-Analytic Review,” there have been various opinions concerning an exact definition of the term. Yet, they do point out the definition put forth in 1997 by McCullough, Worthington, and Rachal: forgiveness is “a set of motivational changes whereby one becomes a) decreasingly motivated to retaliate against an offending relationship partner, b) decreasingly motivated to maintain estrangement from the offender, and c) increasingly motivated by conciliation and goodwill for the offender’” (pp. 321-22). In other words, forgiveness is about how we are moved with respect to someone else or a change in disposition in which the fight or flight impulse has weakened and an inclination towards meeting the person with kindness begins to grow stronger. There is a change in the will and a change in perspective that allows for a radically new and undeniably positive approach to someone else that is manifest in thoughts, emotions, and behavior. That this is something good, almost goes without saying. Others have understood forgiveness in terms of letting go of past hurt and bitterness, (Berecz). After all, the English word forgiveness etymologically comes from the Germanic vergeben meaning to abstain from something (ruminating about the hurt) and to give it away. Still others view forgiveness as the removal of negative and introduction of positive emotions toward an offender. The sense of relaxing tension meshes rather well with a willingness to give up the necessarily tense states of fleeing from others or fighting them. Exline and Baumeister (2000) understand forgiveness as debt cancelation by the victim. The cancellation of debt has particularly strong Christian overtones, but leaves out some powerful elements: the presence of God and the need for humility. For instance, Saint Cyril of Jerusalem would comment on the verse “And forgive us our debts as we also forgive our debtors” (Matthew 6:12) as follows “For we have many sins. For we offend both in word and in thought, and very many things we do worthy of condemnation; and if we say that we have no sin, we lie, as John says. And we make a covenant with God, entreating Him to forgive us our sins, as we also forgive our neighbours their debts. Considering then what we receive and in return for what, let us not put off nor delay to forgive one another. The offences committed against us are slight and trivial, and easily settled; but those which we have committed against God are great, and need such mercy as He alone can give. So, be careful lest for the slight and trivial sins against you you shut out for yourself forgiveness from God for your very grievous sins” (Catechetical Lecture 23). The value of these psychological definitions is that they draw some sharp lines that we can use to look inwardly and decide whether we have forgiven someone else. If we are tense around someone who has hurt us and feel the urge to flee or alternatively if we have to control ourselves in order to not lash out, if we hold onto the offense with the clenched fist of our mind, we have not yet begun to forgive. Psychology tells us that much. As for theology, it opens up other horizons in the soul through which the impossible becomes possible. With this introduction in mind, let’s begin to explore the topic of forgiveness. One of the first lessons we are taught as children is that some things are right and other things are wrong. There are rules to follow at home. There are rules to learn in school. There are rules for the games we play. There are rules for just about everything. And if we obey the rules, we can become good little boys and girls. We can do well in school. We can win the game. And so we all learn to be very good at the rules. That’s why we rehearse the rules in our minds, write them down in our hearts, and follow them in our day-to-day lives. Isn’t that what being a good person is all about? Not according to our Savior. Yes, we are to keep the commandments of God and let them illumine us as we saw last week. Nevertheless, simply writing down the rules (being a scribe) or acting according to them (being a Pharisee) is not enough. The goodness of heaven requires something more than the rules of earth. Like the sky above, the righteousness of God has an expansiveness that opens its arms even to the unwelcome and a freedom that allows even the wingless to soar. According to Saint Cyril of Alexandria in his commentary on Saint John, the rules prepare us for a new way of being in Christ, but if we get stuck in the rules we remain as children playing in the shadows. This is especially true concerning the rules about love. In the law, there are beautiful and holy commandments about this the highest of virtues. In particular, Deuteronomy 6:5 declares, “And thou shalt love the Lord thy God with all thine heart, and with all thy soul, and with all thy might,” while Leviticus 19:18 states in the context of grudges, “thou shalt love thy neighbour as thyself.” And yet the righteousness of Christ requires something more that He Himself reveals when He taught His disciples, “A new commandment I give unto you, That ye love one another; as I have loved you, that ye also love one another” (John 13:34). What is new about Christ’s love? Its inclusivity, its magnanimity, and its flexibility that defies all rules, even the most holy ones, knows no boundaries, even those set in stone, and values each soul, even the greatest outcast, more than the entire world. Some psychologists define psychological flexibility as “contacting the present moment as a conscious human being, fully and without defense, as it is and not as what it says it is, and persisting or changing in behavior in the service of chosen values” (Hayes, Pistorello, & Levin, 2012). Doesn’t such flexibility characterize the way Christ encountered those in the Gospel, being fully present to the soul before Him and giving Himself fully to that soul, not being constrained by what that soul might have done, not being restricted by what others may think, not being limited by the rules of time and place? The rules say the leper is untouchable, yet Christ touches him (Mark 1:41). The rules say, “the Jews have no dealings with the Samaritans” (John 4:9), but the Savior gives a sinful Samaritan woman the living water of the Holy Spirit. The rules say the “the adulteress shall be put to death” (Leviticus 20:10) yet the only Friend of the human soul responds, “He that is without sin among you, let him first cast a stone at her” (John 8:7). What were the values that guided such freedom and flexibility? The will of the Father and the salvation of the world. Through them, He walked where rules would not permit, He opened doors that rules had tightly closed, and He transformed lives that the rules had relegated to stagnation and death. This is the kind of flexible single-mindedness (to join two words that are usually held apart) that should characterize Christian righteousness, the righteousness of the kingdom of heaven. Flexible single-mindedness is what the Blessed Augustine was referring to when he said, “Once and for all, a brief precept is given to you: Love, and do what you wish: if you hold your peace, out of love hold your peace; if you cry out, out of love cry out; if you correct, out of love correct; if you spare, out of love spare. Let the inner root be love, for from this root nothing else can shoot forth except for that which is good” (On the First Epistle of John 7,8 PL 35.2033). This is the righteousness that knows how to bend down, that knows how to reach out, and that knows how to look up. It can’t be learned by repeating the rules, but only by learning to see beneath the surface, by learning to listen to the voice of the one who is speaking, and by learning to love even when that which is loveable can scarce be found. Through the grace of God Who is everywhere present and the love of Christ that fills all things, may we all dare to flexible enough to make such righteousness our own. Hayes, Pistorello, & Levin (2012). Acceptance and Commitment Therapy as a Unified Model of Behavior Change. The Counseling Psychologist 40 (7), 976-1002.